Let’s assume you plant an apple tree. Every day, you care for it by providing water and fertilisers. The tree grows and provides you beautiful apples. You protect the tree and its fruits from disease, theft and destruction so that you can enjoy the fruits with your loved ones. But when you are not around, who will look after and protect it? Will the tree die for lack of care? Will the fruits got stolen? Will the children fight over the sharing of fruits? The same goes to your assets. When you are not around, how do you ensure your loved ones get what you want them to get and that the assets are not wasted or lost? This is why you need a Will and estate planning. Without a Will, your assets could be more troublesome than beneficial to your family at a time when they are most vulnerable. The distribution involved can be a long drawn process with the law or a complex legal battle. 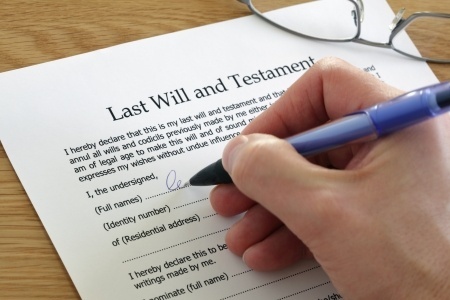 Without a Will, the law will decide who your beneficiaries should be. You should never assume that your assets would automatically go to the person you want to benefit. Give them the security by making a Will and the law will protect your wishes. A legal document in which you declare your wishes for your loved ones and how to distribute your assets after you pass on. Our current “Professional Will-Writing Services” have expanded from traditional Will writing to cover a range of related services with the aim of achieving the fulfillment of our motto “Making Your Wishes Come True”. This is one of the core services provided by the Company which offers value for money in a professionally written Wills. It is available in English and Chinese, which is the first in Malaysia, using our unique comprehensive Will writing system. With the usage of English or Chinese language to suit the preference of the Testator, the Will undoubtedly can represent the clear expressed intentions of the Testator. The service is offered to our clients who wish to have their Wills written in Chinese to be accurately translated to English to facilitate the process of applying for Grant of Probate in the future. The translation is accurate as it uses the same comprehensive Will-Writing system. This translated copy may be used to obtain endorsement by the Court Interpreter when applying for Grant of Probate. The translation service is also available where the Will is written in English and translation is done in Chinese to enable the Testator to better understand his/her Will proper.